The leading cause of death in 2012 was drug overdose. In the years between 1999 and 2013, the rate of drug overdose death more than doubled. Of the total 43,982 U.S. drug overdose deaths in 2013, there were 35,663 unintentional (81.1%). Overdose deaths of suicidal intent accounted for 5,432 (12.4%) of the total. Overdose deaths of undetermined intent accounted for 2,801 (0.06%) of the total. Drug abuse and misuse in 2011 alone caused nearly 2.5 million visits to the emergency department (ED). In 2011, more than 1.4 million visits to emergency departments were pharmaceuticals related. 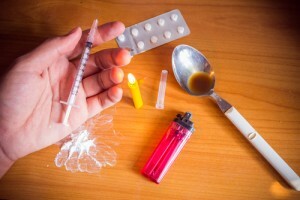 Between 2004 and 2005, EDs saw an estimated 71,000 children 18 years of age or younger due to medication overdose—excluding recreational drug use, abuse and self-harm. Pharmaceuticals account for close to 40% of all poison center-reported exposures amongst children younger than 6. Pharmaceuticals accounted for 22,767 drug overdose deaths in the United States in 2013, or 51.8% of the total overdose deaths. Opioid analgesics, commonly known as prescription painkiller or opioid pain relievers, accounted for 71.3% or 16,235 of the pharmaceutical-related overdose deaths in 2013. Benzodiazepines were involved in 6,973 or 30.6% of the deaths. It is noted that some overdose deaths involved more than one type of drug. The non-medical use of pharmaceuticals accounted for approximately 1.4 million ED visits in 2011 alone. Anti-anxiety and insomnia drugs accounted for 501,207 ED visits, and opioid analgesics accounted for 420,040 visits. A combination of opioid analgesics and benzodiazepines are often found in the bodies of people who died of a drug overdose. Some communities are taking effective action in response to the rise in heroin overdoses in their counties and states. According to a recent online Capital Gazette article, the Maryland county of Anne Arundel is considering a multi-agency initiative to address the problem of heroin addiction in the county. The county health department reported 74 substance overdose deaths in the first seven months of last year in the county. Heroin was involved in 35 of those overdose deaths. These numbers accounted for Maryland’s second-highest rate of increase. The Anne Arundel County Medical Center s logged 135 overdose cases in 2014, up from close to 100 cases in the two years prior. Steve Schuh, County Executive, declared heroin a public health emergency with a signed executive order. Schuh plans to introduce a resolution at the upcoming City Council meeting on the matter. Other actions being taken by the community include the creation of a task force to look into expanded use of Narcan, the drug used to help reverse overdose effects. County health officials and schools superintendent are included in the task force. Proposed recommendations include the expansion of treatment options, expanding drug-court programs, and drug prevention education training at schools. According to Police Chief Tim Altomare, the police department health unit will be tasked with helping arrested addicts with getting treatment.